One of the most remarkable discoveries in the recent Narasimhan et al. 2018 preprint has to be the presence of what are essentially Eastern European migrant populations within the Inner Asian Mountain Corridor (IAMC) during the Middle to Late Bronze Age (MLBA). Remarkable for so many reasons, but seemingly under-appreciated by a lot of people, judging by the online discussions that I've seen on the preprint, and even, I'd say, the authors themselves. Narasimhan et al. labeled these groups as belonging to the "forest/steppe MLBA" complex (for instance, see the main figure from the preprint here). This is indeed what they are in terms of their genetic structure, but certainly not geography, because the IAMC is well south of the steppe. Thus, in my Principal Component Analysis (PCA) I'm going to label them as part of the "post-steppe herder expansion Turan" complex. Strikingly, most of these people cluster with Bronze Age Eastern Europeans, and even some Bronze Age Central Europeans. They're also sitting very close to the more easterly present-day Slavic-speakers from Russia and Ukraine, and indeed closer to the bulk of the European cluster than some present-day Turkic and Uralic groups from the Volga-Ural region. Even I never predicted such an outcome. Sure, I was expecting to see ancient genomes from South Central Asia with some very heavy steppe influence, but not this. The relevant datasheet is available here. Two of the MLBA IAMC individuals are from Kashkarchi in the Ferghana Valley, in what is now Uzbekistan, and basically on the doorstep of the Indian subcontinent. I've made special mention of them on the plot, and I've also highlighted a pair of individuals from the Bronze Age Central Asian sites of Gonur Tepe and Shahr-i Sokhta, who are, in all likelihood, unadmixed migrants from the Indus Valley (for more on that, see here). It's surely not a coincidence that the ancient and present-day South Asians on the plot (including those from Pakistan's Swat Valley dated to the Iron Age) form an almost prefect cline between these two pairs of individuals. It's also surely not a coincidence that the MLBA IAMC groups are rich in Y-haplogroup R1a-M417, and in particular its R1a-Z93 subclade, which is today an especially frequent marker in Indo-European-speaking South Asians. Forget about the pre-MLBA populations from the forests, steppe, or IAMC, like those represented by Dali_EBA; they're practically irrelevant to this story. How do I know? Because they have little to no impact on the above mentioned cline. And this can be easily verified with mixture models based on multiple Principal Components (PCs) and formal statistics (for instance, see here). Clearly, many populations in South Asia, particularly those speaking Indo-European languages, derive the bulk of their steppe-related ancestry from the peoples of the MLBA IAMC, and/or their very close relatives. And if you do believe that this inference is just based on coincidences, then I'm sorry to say this, but obviously a new, much less mentally challenging, hobby or profession beckons. All the best with that. Just to help put all of this in a geographic perspective, here's a topographical map of Eurasia. 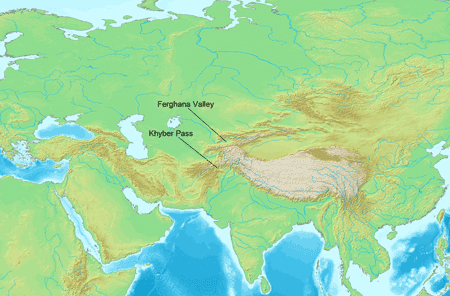 I've marked the location of the Ferghana Valley. The close relatives of Kashkarchi_BA most likely skirted their way around those winding high mountains and slipped into India via the Khyber Pass, which I've also marked on the map. And the rest, as they say, is history, including the history described in the ancient Indo-Aryan Sanskrit texts known as the Vedas. I'm sure we'll soon be learning about these events in great detail when many more ancient samples from Pakistan and, hopefully, the first ancient samples from India, are published. I've tried to model the Iron Age South Asians, trying to use only BA samples (Paniya and Yukagir are there to improve the fit and complete the picture), also I trew Brahmin in there. To me these results make a lot of sense (and the dist. is very low). Bear in mind that non only Kashkarchi has steppe, Gonur outlier and Sappali have some. You don't need to make things that complex. Non-Austroasiatic South Asians appear to be overwhelmingly made up of three streams of ancestry, which is Steppe_MLBA, Indus Valley and related, and indigenous South Asian. Just stick to that or variations thereof. Of course, it's been deliberately underplayed for political reasons. The implications of this historic fact are enormous. We need not mention the historical scourge of Nazism, but, more currently, the national myth of hundreds of millions of Hindus. Right, I agree, south asians are mostly a three way mix. But with nmonte you get results that don't really make much sense if you use very distant populations, and I was just simply trying to use BA samples to model the IA populations in the same area. All the samples that I used came from the region, there is some value to that, right? Also a three way mix for IA Turan is giving me 19% EHG, that is obviously inflated. Andronovo collected some Siberian on the way to South Asia, also Siberian ancestry might have made its way into south Asia by itself. Also Iranians had levant since the Chalcolithic, there is chalcolithic Iranian influence in some earlier BA Turan, some pretty evident like Gonur 1_BA. Granted, it's minor stuff, but if we are trying to precisely ascertain how much steppe there was in these samples, I think the process is needed. Too late and too little steppe to be rig vedic aryans. The theory that Indo-Iranians and Balto-Slavs separated somewhere in Eastern Europe around 3000 BCA and that after this Indo-Iranians migrated east to Central Asia and south to India and Iran seems to me more likely than the theory that their separation took place in Neolithic Iran 8000 BCA after which Balto-Slavs entered steppe and Indo-Iranians moved east to India as in Krause-Reich model. Almost 10000 years with little language change seems incredible. Problem is that you have no idea about the vedic culture. Brahmans have been able to preserve classical sanskrit for at least 4000 years orally. If you know the vedic texts, they consider that the devas reside in sound and vibrations. Hence, the pronunciation must be exact for the mantras to have effect. Great care has been taken to preserve the pronunciation. Plus, given the dominance of brahma-kshatra on the political and religious landscape, with sanskrit being the official language, it is not implausible that language changed much more slowly as compared to modern times. "The Rig Veda 1.164.45 says “catvari vak parimita padani tani vidur brahmana ye minishinah, guha trini nihita neengayanti turiyam vaco manushya vadanti” (i.e. The cognoscenti know of the Vak that exists in four forms . Three are hidden and the fourth is what men speak) ." Arians went through the Forest-Steppe in the North. The Vedas clearly mention the invasion of the IndoArians from the North through the mountains. Noted kurganist Dienekes Pontikos has an interesting, or at least provocative, post just up on his blog in which he attempts to resolve the finding of lack of R-Z93 and really R1a in the early Iron Age South Asian samples (http://dienekes.blogspot.co.uk/2018/04/r1ans-still-at-large-or-story-of-india.html). His take seem roughly that this confirms a migration of steppe related ancestry to India and it seems he believes Indo-European languages (though he is not totally clear on this) but seems to suggest that the lack of R1a indicates that the Indo-Aryans proper may have been later and more recent than the Iron Age samples. This seems a bit unnecessarily complex to me, but it does suggest that somehow the dynamics of R1a in India may have been quite different than we thought. Rather than male biased migration having an important role, massive growth may have been seen in the lineage through a founder effect in ANI? In either sense, the adna thus far suggests R1a growth somewhat disassociated from any steppe_MLBA related stream, at least in the sort of burials and cultures that have been sampled thus far (which have diverse y which has not any association with the steppe). It also occurs to me as well that the finding that we don't really have any populations affected by a Steppe_EMBA migration other than in Europe, and all populations outside of Europe are likely to have Steppe_MLBA makes it more tenable that steppe related populations could have picked up IE languages within Europe. If later steppe populations are all "from" a European reflux, then this idea is more tenable than if they simply never had such ancestry. Now, this is not that it's necessarily hugely tenable that a Corded Ware like group roughly 25:75 EEF:Yamnaya-like/Corded_Ware_early-like would be speaking a language derived from the EEF they encountered and admixed with, but it is certainly more tenable than it was when models were using Steppe_EMBA->South Asia, and no migration chain of ancestry out of Europe existed. I'm not even going to bother with Dienekes' ramblings about this. The high frequency of R1a in Steppe_MLBA_East speaks for itself. There's not even any need for later founder effects, although they probably did happen. Wait for more samples from South Asia, they're coming very soon. We still need to understand *why* the zero frequency of R1a in these samples, no, if male biased mass migration at even 25% of the autosome? How soon and which team is coming out with it ? Well, maybe wait for the revised spreadsheet with the correct Y-haplogroup calls before we start on that? Same team. Apparently very soon. Fair enough, if they've mistaken R1a for non-R1a (which is a pretty big thing) it will be pretty important. If it's the same team and if it's coming very soon ( maybe a month ? ) why did they not publish it in the same paper ? Logistics? Not sure. Ask them. It also occurs to me as well that the finding that we don't really have any populations affected by a Steppe_EMBA migration other than in Europe, and all populations outside of Europe are likely to have Steppe_MLBA makes it more tenable that steppe related populations could have picked up IE languages within Europe. This idea requires Sanskrit & Vedic to be descendants of the western IE branches instead of a parallel development. It could be simply that LMBA is later than EMBA. IA also only really shares innovations with the most easterly IE branches. Languages are properties of populations and language shifts need to be well motivated, I am sorry but when I hear "pick up" in this context it gets me riled. Yes, this is what the data shows so far. And there's one detail that supports this: We already have a pretty large amount of samples from the steppe with R1a-Z93, but all of them (AFAIK) belong to Z2123 subclade, not the sister L657, which is the big one in India. If Andronovo was 99% R1a-Z2123, it's pretty much impossible that a big impact in the Y-chromosome (a la Western Europe) happened, or we should see Z2123 as the main lineage in India. So if L657 came along with Z2123 (which looks reasonable), it was a very minor lineage that couldn't have much impact initially. It just happened to grow within India during teh last 3500 years. That could have happened in any way, including in a population that was 90% IVC derived, both autosomally and in the Y-chromosome. "The theory that Indo-Iranians and Balto-Slavs separated somewhere in Eastern Europe around 3000 BCA and that after this Indo-Iranians migrated east to Central Asia and south to India and Iran seems to me more likely than the theory that their separation took place in Neolithic Iran 8000 BCA"
Slavic languages are attested sparsely from 900 AD earliest and a Bit more after 1100 AD etc. god knows what occurred before that. Linguistic reconstruction has a high ratio of rules vs samples they operate on and there is little consensus on the more significant splits. Most models are lost in the weeds. Pronominal declension tables can act as a litmus test for multiple shared traits and rules in one shot. in spite of OCS having gender and dual number like Sanskrit(specific forms are not though) the sharing between plain English and Sanskrit is much higher. I realize the QpAdm documentation does not give too many details about how the script works, but I believe that outgroups (pright) should not be used that have substantially contributed to your set of input pops (pleft). In your qpAdm run trying to model Brahmin, you used EHG and Siberian N, both of which have contributed substantially to Dali EBA. So the reason your run shows Dali EBA irrelevant to Brahmin is because alleles shared between Dali and Brahmin are discounted (not credited), because those same alleles are also shared between Dali and your pright; Siberian N and EHG, leading to an underestimation of Dali which in fact is 80% Siberian N derived according to the paper. Thus the bias against Dali is heavier because of those 2 pright than against the other input pops, because they don't pright samples related to them to the same degree. With Eurasian targets and input pops it is best to limit pright to Paleolithic Eurasians. Having not fully analyzed the qpAdm script, I'm awaiting clarification from Nick regarding my assessment of how the script works, since they have never clarified why pleft should not have recent geneflow from pright. "So if L657 came along with Z2123 (which looks reasonable), it was a very minor lineage that couldn't have much impact initially. It just happened to grow within India during teh last 3500 years. " Sure, the fortune of the pastoralists took a turn for the better after the establishment of early Iron Age polities around 1000 BCE (in the Kuru-Panchala region near present day Delhi) and the codification of their ritualistic practices. Witzel has sketched the process quite brilliantly imo. L657 peaks precisely in that area within India. I think Michael Frachetti introduced this IAMC concept into the debate. His name is in the list of authors for this paper. Very good development. ...I believe that it works in the opposite way, that discounted are alleles not shared with pright. David mentioned once that since they (Harvardians) recently started to use many more pright populations than previously their old models have stopped to work and he mentioned many times that qpAdm generally ignores recent drift. What I concluded is that all pleft are first projected onto space created by pright (or rather modelled as pright?) and then pleft are compared to each other. It would be equal to modelling in nMonte Yamnaya, CWC and GAC (pleft) as EHG/CHG/WHG/Anatolia (pright) and then modelling CWC not as Yamna PCA coordinates vs. GAC PCA coordinates, but as pright mix vs. pright mix. Now imagine that we are adding Iran_N to the pright and that Yamnaya has Iran_N and CWC has only CHG.
And suddenly you can't model CWC as Yamna/GAC because now we are able to discriminate between Iran_N and CHG (old model doesn't work any more). ^^^ And the reason for not adding closely related pops to pright would be that if you would add Yamnaya to pright it would be modelled as 100% Yamnaya, but CWC not necessarily would be modelled as 50% Yamna, 25% WHG and 25% Anatolia (because 50% Yamnaya is equal to 25% EHG / 25% CHG). That's also the reason why people should not use any results from "calculators" like K36 in nMonte (because of overlapping components, e.g. nMonte doesn't know that half-steppe, half-EEF is equal to zero steppe, zero EEF, 100% Central European [component that is a mix of other components]). I don’t think you know the reason behind using outgroups in the 1st place. Generally speaking outgroups are used to filter out/ discount common ancestral alleles which are shared by contemporary populations, because the goal of most analyses is to determine allele sharing due to more specific shared drift between test populations, rather shared drift due to common distant ancestors. With this in mind, any software I put together or someone else designs will try to keep these principles in mind. So for example if Siberian N and EHG are declared outgroups such as in Dave’s qpAdm run, andDali EBA is an input pop, and Dali is 80% Siberian N derived, then pretty much any alleles Dali shares with Brahmin would be shared with Siberian N and EHGand thus get discounted leading to an underestimation of Dali in Brahmin. The paper shows significant Siberia N in S Asians. Linguistics seems to support the model now proposed by you which follows genetic data, i.e. : CWC –> Sintashta –> Andronovo_East –> India. Yes, I basically agree with your point about the pright populations (or outgroups). I could test these things for D-stats based datasheets and then I've seen it in the way qpAdm behaves. I think the important thing is to get outgroups that are informative about the ancestry in the pleft populations (in other words, not real outgroups), but at the same time they have to be balanced in their relationship to each of the pleft populations. Since it is based on formal stats, the genetic diversity in each population has to be taken into account (though these things would take longer and examples to explain correctly). 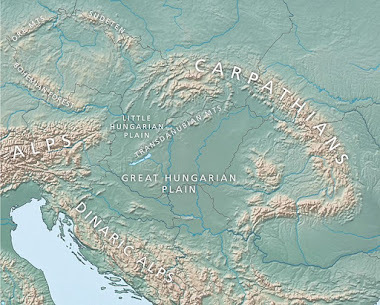 If Indo-Iranian was in contact with both Balto-Slavic speakers and Uralic speakers near 2000BC, then they would of occupied the Pontic Caspian Steppe. So you are basically saying the Yamna people were speaking Indo-Iranian circque 2000BC? "It is true that some of the words listed above are only found in Iranian, but it is equally possible to point out others where the reverse is the case." No Indo-Aryans words are described, only Iranian. Similar case to Uralic borrowings. Borrowings in both are extremely Iranian-shifted if they can be considered Indo-Iranian at all, but are likely just (archaic) Iranian. I say borrowings because as per my knowledge there are no words in Iranian or IA with Balto-Slavic (or Uralic) etymologies. No one can take your linguistic 'scholars' seriously if this is how they derive conclusions from data, and this is why Kurganists lose the respect of people like myself. Dali_EBA and West_Siberia_N are irrelevant to South Asian population history. Dropping West_Siberia_N from the pright pops doesn't change much. And Global25/nMonte produce basically the same results. All of the West_Siberia_N-related ancestry that is needed to model South Asians is accounted for by the Indus Periphery (diaspora) samples. The rest of the steppe-related input in South Asians comes from Steppe_MLBA. I feel davidski jumped the shark with this one. Trying a bit too hard now. All of the West_Siberia_N-related ancestry that is needed to model South Asians is accounted for by the Indus Periphery (diaspora) samples. My ADMIXTURE based calculator using Neolithic sources only shows mid-teens Siberia N in S Asians, some of which like you mention is included in Steppe-MLBA and Indus Periphery. I'm guessing if you remove EHG from pright both Steppe MLBA and Dali would increase and your p-value may increase. Can you run w/o EHG in pright and see what happens if you have time. I would but am a little busy these days. As you indicate S Asians got most of their Siberia N from Steppe MLBA E and Indus Periphery. The P-value improved because I've taken out one of the key pright outgroup samples that allowed qpAdm to effectively discriminate between the different streams of ancestry from the north and access accurately the fit of the model. If I remove more of the pright outgroup samples, the results are likely to blur some more, and the P-value will probably also improve, depending on the pright samples that I remove. But I'm not interested in improving the P-value by manipulating the pright sample list. My main interest is to harness as much power as possible so that my analysis can discriminate as best it can between the reference populations that I have available. 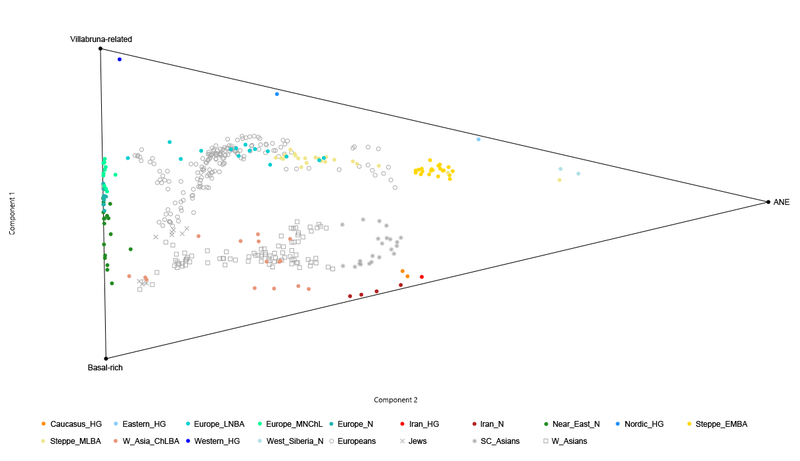 Multiple lines of evidence from formal stats, PCA and uniparental markers suggest that non-Austroasiatic South Asians are essentially a three-way mixture between Steppe_MLBA, Indus Valley and related farmers, and indigenous South Asians. Realistically, groups like Dali_EBA and West_Siberia_N aren't in the picture. ADMIXTURE output is likely show all sorts of weird and wonderful things depending on how the analysis is designed and the K value, but I'm not worried about that. The preprint has been out for two weeks now and you obviously still haven't read it. You should read it. I'm guessing this paper is coming very soon, because the BAM files are now up. Description: The Eurasian steppe, stretching about 8000 kilometres from Hungary and Romania in the west to Mongolia and western China in the east, is culturally among the most dynamic areas in the world. In the past four millennia, it has been variously dominated by Iranian-, Turkic- and Mongolic-speaking groups, and its temperate grasslands have been a crossroad for extensive movements of peoples, goods, and ideas between Europe, Siberia, South and East Asia. In order to understand the genetic history of the Eurasian steppe populations, we have sequenced 137 ancient genomes (~1X average coverage) spanning a 4000 years time series. We also genotyped 502 individuals from 16 contemporary self-reported ethnicities. 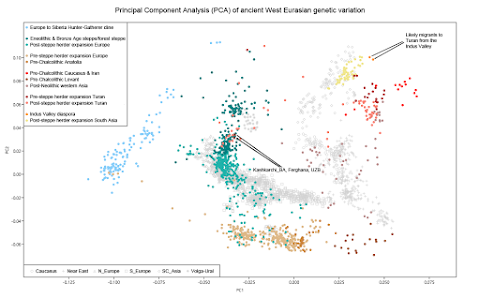 We find evidence of a highly dynamic population history; the Iranian-speaking Scythians that dominated the Eurasian steppe throughout the Iron Age (~1 millennium BCE to common era) emerged following admixture between Late Bronze Age herders of western Eurasian descent and East Asian hunter-gatherers. The steppe nomads later further admixed with Turkic-speaking groups of East Asian ancestry that spread westward across the steppe in multiple waves: firstly, the Xiongnu confederations that emerged in Mongolia around the 3nd/2nd century BC; secondly, the Huns (4-5th century CE), infected with plague basal to the Justinian Y. pestis strain that destabilized the eastern Roman Empire in the 6th century CE; and thirdly during various short term dynasties, including the Mongol Empire of Genghis Khan and his descendants. These recent historical events transformed the Eurasian steppe populations from being Indo-European speakers of largely western Eurasian ancestry to the present-day Turkic-speaking groups, primarily of East Asian ancestry. "Realistically, groups like Dali_EBA and West_Siberia_N aren't in the picture." Steppe_MLBA_East has ~20% West_Siberia_N-related input, which it picked up along the way into the Pamirs and Hindu Kush. In fact, I don't know what the hell you're talking about, because Pamiri Tajiks and Kalasha can be modeled very well with both qpAdm and Global25/nMonte in basically the same way without Dali_EBA or West_Siberia_N. You're not actually disagreeing with me, because you're using a different set up - a smattering of various sources spanning from the Eneolithic to modern period. So of course, you produce a nice fit. Also note that your idealised Kashkarchi proxy dates to 12-1000 BC (arguable too late for the Vedas) and as pointed out by Alberto is the wrong subclade of Z93. However, to repeat myself, I want to visualise the situation at c. 2500 BC, to understand the 'big picture' objectively. This is because this is the onset of the Bronze Age in central Asia itself, and "the coming of the Andronovans". So what does that show us ? The broad stream of ancestry for Swat _IA (using an averaged) can be seen as ~ 40% BMAC, ~ 40% IVC periphery, or simply put, 80% Middle Asian Interaction zone (which stretched back to middle Neolithic, perhaps). The rest is 10% Sintashta , and 7 % early Tien Shan pastoralist. I wonder if Baluchistan LBA-IA will show something different. ? "Your own G25 data confirms Kurd's suggestion that Dali EBA reaches mid teens for groups like Tajiks and Kalasha. Even in Swat it's ~ 10%"
G25 has a hard time differentiating Central Asian HG from Steppe. It confuses ANE-rich Central Asian with Steppe and vice versa. When only using Yamnaya, IranNeo, AnatoliaNEo, ASI the Tajik score 50% Yamnaya and the fit is good. The reason is Yamnaya eats up Central Asian HG. There's no definite percentage of Central Asian HG in any groups, Tajik or anyone else. We'll have to wait till someone finds a test which can definitively differentiate between Central Asian HG and Steppe ancestry. Dali_EBA, and Central Asian and Siberian forager ancestry is irrelevant for South Asia, except for this type of admixture that is already within Indus_Periphery, Steppe_MLBA and maybe Sarazm. Those samples are way off cline, and don't show up in any half-decent models. As John F. Kennedy said 'Failure is an orphan. Success has a thousand fathers'. Tajik are essentially West Eurasian genetically. They have a few percent ASI and a few percent East Asian stuff. They have a decent chunk of Barcin_N ancestry. So, a very very very rough intermediate between Iranians & northern Europeans. That is a bit uncalled for. In this latest article (the first on this topic for a very long time) he does not claim that he predicted this, so he does not pose as a father of a success. He simply says that the results gave the coup de grace to the out-of-India theory (he never supported or believed that, so no problem for him), but the low frequency of R1a in South Asian samples keeps open the possibility that they did not catch the right migration, because it might happened later. Well, cast your mind back a few years. Dienekes was the most vociferous proponent of the 'out of Anatolia' theory. He claimed that J2 was the 'Aryan' haplotype. Of course, the fact that Dienekes rooted for Anatolia, and the fact that he is a Greek are entirely coincidental. Back in the day, David was fighting a brave and lonely battle with his Steppe hypothesis, and then - as now - all sorts of chauvinists from all sorts of places spread verbiage over verbiage - some of it offensively abusive - in their quests to 'claim' ancients for themselves and their people. What’s he suggesting - India was indoeuroepanised in 300 AD ? I perfectly remember Dienekes opinions and theories. How is that a counterargument against what I said to you? If you aim snarky comments to somebody who is not present, at least be correct. Yes, he was wrong about the steppe thing and no, he is not trying to own any success about it now. BTW, Davidsky was never lonely with the steppe hypothesis. Neither it is fair to pick out Dienekes as a scapegoat for abuse he got during the debates. I guess he do not have a firm theory formed, definitely not one that can be guessed from the few sentences he wrote about it. So there is not much debate about it. You are right about being a bit difficult to tell apart the different streams of ancestry. That's why I did several hundreds of runs with dozens of targets to avoid false positives. 3 is definitely wrong. I go with option 2. ASI_From_Mala is everything in Mala minus its West Eurasian ancestry. The issue with confusing ANE for Steppe won't go away. Nothing can change it at this point. In this model you have an ANE-rich source from Eneolithic Central Asia alongside Deli_EBA. It is eating up the Steppe in Aligrama IA. I tend to think this model is more reasonable. But we'll have to wait for formal stats to resolve the issue. @mickeydodds1, re: Dienekes, he still has a pretty good record in my eyes; he never really supported the early Anatolian hypothesis of Renfrew, as much as a later elite expansion from Anatolia or West Asia. And no one really made a correct prediction of a mass population movement before ancient dna. It wasn't clear how drift vs admixture really worked to explain expansions. Admixture was thought to be minimal, as the common sense was that it would push populations apart, where in reality we find that admixture from divergent populations often does not really push populations apart because it also introduces diversity which reduces differentiation. Drift at the onset of the Neolithic was given an outsize role in explaining differentiation as a consequence. Even those folk who presented a steppe hypothesis thought of it in terms of an elite migration, as there was no clear signal in present day population genetics between IE and non-IE populations. Indeed Dienekes actually presented what was the only plausible mass migration hypothesis of the pre-adna era. If Dienekes erred more than others once adna was on the scene (in the very short window after adna was out but before he stopped blogging), it was in continuing to give a prominent role to the West Asian component. Yet even this has been vindicated after a fashion over early adna models that simply presented West Eurasian population history in terms of WHG:ANE and ENF, and its very arguable that HG:West ME:East ME is to a better approximation a model of West Eurasian genetics. It also continues to be key to the Indo-European problem in ways that few who were talking about a steppe hypothesis prior to adna would have predicted. (On a tangent, in hindsight, this kind of overreach (the kind that led to the ideas of WHG, ANE+ENF) has been common in models, academic and non-academic, that have looked only at adna rather than consideration of patterns in present day ADMIXTURE panels. CHG/Iran_N were first not predicted despite important in ADMIXTURE models, then for South Asia we've had a) predictions of vast turnover (60% Steppe_EMBA, 75% Sintashta under different qpAdm outgroups! which people actually believed!) that have actually turned out to be quite modest as ADMIXTURE predicted, b) putting the patterns in "Balochi"/"Gedrosia" in ADMIXTURE down to drift, where they've actually been down to ancient population differentiation. Just to make it clear, I was against the steppe hypothesis initially, when I started the blog. My feeling was that the PIE homeland was somewhere in East Central Europe, probably due some regional bias, because that's where I'm from, but also because I could see how similar the Andronovo people were to modern-day Northern and Central Europeans based on the limited ancient data available. It didn't click for me that this was because of a massive migration from the steppe into Northern and Central Europe. But that's OK, we were all in the dark back then. Maybe the old version of Dave is the right one? Recent archaeological and genetic study published in 2014 found that seven "Scandinavian hunter-gatherers" found in the 7,700-year-old Motala archaeological site in southern Sweden had both light skin gene variants, SLC24A5 and SLC45A2, and that they had a third gene, HERC2/OCA2, which causes blue eyes and also contributes to lighter skin and blond hair. Genetic research published in 2014 and 2015 also indicates that Yamnaya Proto-Indo-Europeans who migrated to Europe in the Bronze Age were overwhelmingly dark-eyed (brown), dark-haired and had a skin colour that was moderately light, though somewhat darker than that of the average modern European. Light pigmentation traits had already existed in pre-Indo-European Europeans (both farmers and hunter-gatherers), and long-standing philological attempts to correlate them with the arrival of Indo-Europeans from the steppes were misguided. Seems that physical traits that links north-est europe and andronovo are the ones connected with farmers and hunter-gathers ( which in the quote are labelled as pre-indoeuropeans), not with steppe. It seems that just like culture , physical traits that are to be seen in MLBA steppe are from Europe.....as some suggested in a post everything was just picked up ( language) inside europe. All three are items fully wrong. Dienekes is mistaken, the samples are not Arians because the Arians cremated before Buddhism. Anarchically and anthropologically they are indigenous people: dasa, dasyu or shudra. mtDNA says that Arians influenced onto they over women. All three items are fully wrongs. Dienekes is mistaken, the samples are not Vedic Arians because the Vedic Arians cremated before Buddhism. Archeologically and anthropologically they are indigenous people: dasa, dasyu or shudra. mtDNA says that Arians influenced onto they through women. Or maybe something like this? Swat Valley calls are mostly OK AFAIK, about 20 calls overall were wrong . And when I began I supported the steppe hypothesis. But then I learned more and saw it's not so cut & dry. Now I debate those who do (think it's cut & dry)..
Ivc people also cremated their dead. I can argue they were vedic people. Dont be selective. You dont know jackshit about the vedas. Dasyus are not indigenous people and aryans the outside invaders. There are multiple tribes mentioned in rigveda, and different people from same tribe would take on positive or negative associations depending on their actions. Had nothing to do with race. In the rig veda, dasyus' ancestor is named nahusha, who is also an ancestor of Aryas. Manu is the ancestor of Nahusha. Dasyus were nothing but fallen Aryas in the eyes of the Rig veda composers. Reich said in his bbc article the India paper should be ready "this year"
But the period is ideal for those Kashkarchi type R1a individuals (if they are L657 , not confirmed) to make an entry, as progenitors of those Sakaldwipiya types of community bringing R1a.Of course this is just a thought, as we wait for proper Indian aDNA. BTW Dave , where you heard more S Asian data from the same team is coming, is the news direct? But didn't Nick Patterson speak that they don't have any further data at the moment?. Also I am not hearing anything like it :P.
Do you see the problem? Now chalcolithic SC Asia has 15-20% Steppe_MLBA admixture. You can't pull those models out of your intuition. Test. Then test again. Then again. Till you get something that is solid enough. You should reach out to me regarding Sakaldwipiya. I've got plenty on this and have been following this strand for several years now. There's a lot more than meets the eye. 1) PIE did not come from R1a or R1b, but J2. 2) R1a is source of PIE and did not come from Yamnaya, Andronovo, Afanasievo. 3) PIE came from several haplogroups, likely Caucasus area. I had also predicted an Inner Asian Mountain Corridor for which I was also ridiculed. Feels good though now. Still - that said - I'm re-evaluating and adjusting certain points to each of these options which each have their own merits. Nirjhar, please do reach out. Can you still say people don't have genes? That is, you allow to write on the Vedas fancy people who have no knowledges about the Vedas? It is possible to write only no truth, but the truth about what is written in the Vedas it is impossible to write? Let me educate you on the Rig Veda. SudAs was a Bharata tribe king who defeated the ten kings in the battle of the ten kings, with Indra on his side and helped by rishis Vasistha and Vishwamitra. SudAs was the son/grandson of DivodAsa. Vasistha and descendants are composers of Mandala 7 in which Sudasa is extolled for his victory. Sudasa the son of Divodasa, these were Arya, and the Bharata tribe is the main protagonist of the Rg veda. DAsas are also extolled in iranian, whereas Devas are the enemy. Get on with the times. If J2 spread IE, what is the timeframe we are talking about? As of now, all 3 options look plausible to me. I cant imagine Indian R1a coming in anytime after 1000BC, it is too widespread among conservative and closed Brahmin groups. It was either there earlier (IVC) and expanded due to IVC peoples moving East and setting up the Gangetic religious heirarchy, or it came in from the outside somewhat earlier than 1000BC. The main problem with the invasionists scenario, is that there is no archeological evidence for R1A (IE) arrival and expansion, unlike data from Yamnaya, Corded Ware, Mycenea, Hittites, Mittani etc. Their territories were located beyond Gandhara, beyond Pakistan, Afghanistan laying in Tajikistan, Uzbekistan, Kyrgyzstan where Buddha statues were built in the name of king Maurya & Ashoka and the 3rd century BCE Edicts of Ashoka refers to the area under Kamboja control as being independent of the Mauryan empire in which it was situated. Some sections of the Kambojas crossed the Hindu Kush and planted Kamboja colonies in Paropamisadae and as far as Rajauri. The Mahabharata locates the Kambojas on the near side of the Hindu Kush as neighbors to the Daradas, and the Parama-Kambojas across the Hindu Kush as neighbors to the Rishikas (or Tukharas) of the Ferghana region. This is not even funny anymore. You people are downright insane. "I don't see how the sakaldvipiya are even remotely relevant to r1a in India. They represent a late kushan or post-kushan immigration of zoroastrian priests into India"
They may not be relevant to R1a overall. But swat samples go up to 300 BC and start overlapping with written history a few hundred years before the first Kushanas. @Atrior Nice to see you here again.Work on fine tuning things but it looks like R1A and J2 were both in the PIE community and then took 2 routes, north through the steppe and south through Caucasus.I mean I'm not ruling anything out, we might see a lot of R1A in the Mycenean elites.R1a was the main driver north and J2 in the south.In that scenario,as you've said before, the steppe is responsible for the spread to Northern Europe.Again, I supported the steppe theory until the real behemoth came out, which was the Mathieson paper last year.The PC steppe is a big part of the equation just not the PIE homeland. That could be a result of the north-westerly position of swat right? Kushans are usually said to originate from the what is now the xinjiang province. I'd expect they'd have a significant amount of east asian ancestry as well. As someone already remarked r1a either reached india between 2000 and 1500 BCE from the steppe or had already reached India in the IVC. shakaldvipiyas represent a particular strain of the medieval surya worship initially centred around punjab (multan), though with the islamization of this region they eventually shifted to the east. Their sect doesn't seem to have influenced south India at all. Even in the north the Sauras were a minor sect in comparison to the buddhist, jain, vishnuite and shaivite sects. I spent some time making Excel graphs with Global25_scaled, focusing in Uralic - Steppe Turkic - Siberian. 1. The West_Siberian_N samples do probably not represent a dominant ancestry behind what is perceived as Siberian in modern populations. In some fairly low dimensions that seem relevant they even cluster with European HG-s on the opposite side of modern Europeans compared to all modern Siberians. Could somebody look after this with a tool that is actually meant to figure out ancestry? 2. I can't put my head around what PC7-8 represents. Plotting PC7 - PC8 together results in a graph, where all Eurasians + Australian, Papuans and most of Africans form a very tight cluster. I could found only two group of populations that markedly outside of this cluster (in different direction on PC7, but the same direction in PC8): "paleo" Aferican HG-s (San) and groups admixed with them and even more strongly Amerindians. But there is no cline in Siberia toward Amerindians. @Kulkarni LOL. You're shaming yourself for not knowing Rigveda at all. @Jijnasu, English translations of the Rig Veda are bad. I read the original and other present translations, more accurate. Is that black of the Dasyus and the Aryans bright, Golden-haired and pale. rv10.105.07. (Aryan,) Who made himself a club, so easy to kill the Dasyu. With not broken jaw, like a mysterious fog. Bull on a pair of buckskin horses for noritomo juice! Just pour yourself a squeeze(?) as the killer of not lighted (black)! Dasyus and Dasa live in fortresses and mountains. It is not a question of their exact identification with the Harappans, but they are greedy and rich, who do not know the Aryan laws. Aria are captured and all this is clearly proven in the Rig Veda, how not to invent what it is not. So in your words there is no truth. Well, timeframe is a good question, but also range or extent of spread too at a given timeframe. I don't think J2 is responsible for the entire spread, but one of the important ingredients. And early ones. I don't see how the sakaldvipiya are even remotely relevant to r1a in India. That's because what is written about sakaldvipiya is very sparse and fragmented; and also, because what you'll find on the internet about shakaldvipiya are wikipedia summaries. shakaldvipiyas represent a particular strain of the medieval surya worship initially centred around punjab (multan), though with the islamization of this region they eventually shifted to the east. Exactly. But that's starting the story from the middle. but it looks like R1A and J2 were both in the PIE community and then took 2 routes, north through the steppe and south through Caucasus. Thanks Al ;) Yes, this is pretty much what I've been mentioning on this blog for years; this and the fact that languages are like passing a torch or a baton in many cases. The PC steppe is a big part of the equation just not the PIE homeland. Exactly, exactly. What I've been saying for a while. "Dasyus and Dasa live in fortresses and mountains." "DAsa and Dasyu are different notions and peoples. DAsa is common name to not moved peoples (i.e. not Aryans), later in IndoArians become the concept of servant/slave. Dasyu is name indigenous people only." I see a lot of binary thinking here where people are assigning one haplogroup to PIE. J2 is definitely not the primary haplogroup as it is not present at higher levels in South Asia nor Europe. Looking at current haplogroup distribution among populations it is pretty evident that R1a, R1b was present at higher levels in PIE groups with groups in the western edges of PIE most likely R1b and the eastern edges most likely R1a. I would put the location of PIE groups as inhabiting between Volgograd, Samara and Astana. Pretty much the same location as the paper that just came out, except a little bit East due to absence of I2 haplogroup in South Asia and Central Asia. I also noticed depending on the ethnicity of the author, the location of PIE is shifted closer to the geographical origin of the author. Some chinese authors seem to put it in siberia. The only thing I haven't seen yet is an African author putting it in Ethiopia. How So ? Isn't Pontic Steppe pretty much the accepted theory with all the papers out now and ancient dna ? "How So ? Isn't Pontic Steppe pretty much the accepted theory with all the papers out now and ancient dna ?" The data in the end will show very clearly where the PIE homeland was located, and this will probably happen within the next few years. Meantime, everyone's entitled to an opinion, especially if it fits the current data, more or less. Steppe as PIE doesnt work too well. Corded Ware burials are somewhat different to Yamnaya, and the dates overlap too much for it to be a simple case of Yamna->Corded Ware. Afanasevo and Yamna seem to be completely contemporary. Yamna->Corded Ware->Sintashta looks rather strange, we are going West and losing Kurgans, and then back migrating and getting the Kurgans back. R1A and R1B data still doesnt make sense. Yamna, Corded-Ware, and Afanasevo likely spoke IE languages contemporary to each other. The situation North of the Caucuses is much more complex than a simple Yamna=PIE identification would allow for. What did Reich say that is making things more acceptable to Indians? If you're going to post here again, try not to sound too insane. Steppe_MLBA is argued to have taken Indo-European languages to India, and there is no J2 in Steppe_MLBA. Duh. IMHO we don't have enough genetic data to say much about Hittites, but if Reich thinks that we have then OK, we can make some conclusions. And the conclusion is that ancient DNA invalidated current theory about the origin and spread of Indo-Europeans. Period. Current theory was trashed and should be put in a garbage bin immediately. We can divide the linguistic theory into two parts. One is that PIE have originated in and spread from the steppe. Second is that Anatolian languages are super old, have split first and represent some super archaic PIE features. DNA have showed that there was no early Anatolian split. What Reich as a biologist should say is that while we find the support in the ancient DNA for the steppe origin of PIE, the theory as a whole doesn't work and linguist should rethink the PIE reconstruction. What he did? He instead ditched the evidence coming from aDNA together with the part of the theory that was correct to support the part of the theory that is horribly wrong. Why he did this is beyond me. The only reasonable explanation that I can find is the influence of linguists who are unable to admit that their theory about the development of PIE, or even whole branch of linguistics - historical linguistics - is just a pseudo-scientific mumbo-jumbo. You're a hopeless cause. English translations are bad? In your translation did the Uzboy dry 1500 BCE and was called the Sarasvati? "there is no J2 in Steppe_MLBA"
Wouldn't Taldysay_MLBA2 count as Steppe MLBA? 2) what DNA findings ? I'm the author of qpAdm so I thought I'd briefly explain some things. \sum a_i F_4(T, Li, Rk, Rl) is 0 up to statistical noise. This is the critical equation. No more discussions about the Rigveda. Let's be honest, none of you can interpret what it really says, so let's leave it at that. That's just a funny anecdote about 2 naive geneticists going to India to meet some scholars there to tell them their findings: that a West Eurasian population (Georgian-like, or at least Georgian being the best proxy for it) had moved to India after 2000 BCE and mixed with an indigenous Onge-like population. I can imagine the faces of the India scholars when they heard that. they were probably scratching their head thinking how to tell to those two ignorant foreigners that they were completely ignorant about India prehistory without offending them. In the end, they somehow managed to agree to call the Georgian-like population Ancestral North Indian, and the Onge-related one Ancestral South Indian. This, of course, was not for being politically correct, but for being historically correct (as it has been proven for a while). I guess that Reich and Patterson learned their lesson and after 10 years they've become less naive, better informed and a bit more prudent. We'll see when the final paper from the pre-print we've been discussing is out. No, this individual is genetically an outlier from the main Steppe_MLBA, and doesn't fit the profile of the steppe people who moved into South Asia. Stop clutching at straws. I'm getting tired of it. "G25 has a hard time differentiating Central Asian HG from Steppe. It confuses ANE-rich Central Asian with Steppe and vice versa. When only using Yamnaya, IranNeo, AnatoliaNEo, ASI the Tajik score 50% Yamnaya and the fit is good. The reason is Yamnaya eats up Central Asian HG." I agree but almost ALL Central Asian HG ancestry is accounted for in Indus_InPe, which now eats up 'artificial' steppe ancestry in Central & South Asians. Kalash went from 50% Yamnaya steppe to 28% steppe now. Current model is bit more accurate since we have Central Asian HG's in the scene. Previous model of high steppe admixture in C/SA was working because of lack of ancient samples from the region. I think Iran_Neo was also contributing to this, since they are Basal + ANE like CHG.
People were definitely moving both north & south even before Yamnaya. Simply. Theory says that something has happend and now we know that it didn't happened. Theory is wrong then, no matter how accepted it is or how many "proofs" were produced in the meantime. We are back to the drawing board. That's how science works. And I wrote that IMHO we don't have enough data yet, because of course some proto-Anatolians theoretically could have been lurking in the nearby areas and they could have entered Anatolia in the last minute. What DNA? Good question. Apparently lack of it. 1) when IE- Anatolian speakers appear in Anatolian texts in mid M2, they are already differentiated linguistically. Linguists guess this to have required at least 1000 years. Look at how similar Slavic languages still are today even after 1500 years. 2) in which cave did they remain hidden from which they suddenly sprang forth ? History doesn't happen like that. 3) the most significant settlement changes occur between 4500 and 3500 BC. Any explanation needs to take these into consideration. There's little point in making speculations when one has't even bothered to understand basic tenets. History is something which can never be modified or rewritten, it can only be hidden for a while but truth will prevail ultimately. Well done Sanuj, you're finally beginning to understand. The next step is to objectively assess the new data. @Davidski I am. And it's not looking pretty for any Steppe invasion, even without Bronze age data from India, I shudder to think what would happen when we have that piece of data. And don't worry, more data are on the way. Not necessarily from India, but that's OK, because modern borders aren't relevant. All we really need to clinch all of this are data from Bronze Age South Asia. @Davidski I did read it, an avg 9% admix to explain away a language shift in a subcontinent level area, without any visible archaeological evidence. Sure, but preprint propaganda is not fact. More the data, better the inference, I am waiting. 9% is a large number of people given the IVC population is estimated at 5mio. I read somewhere IVC had 1/2 the global population, if that's correct then 9% would be close to 5% of the global pop invading India. I will need to recheck those numbers. "I read somewhere IVC had 1/2 the global population, if that's correct then 9% would be close to 5%"
It's a %age so, whatever be the number 91% is against it, and there is no archaeological evidence of a material change. Moreover, the Iron Age in India is now attested to be atleast starting by 1800 BC in ganga valley, while RV a bronze age text knows Ganga but not Iron, and 9% admixture is just not enough to explain a language shift. Listen folks, its highly obvious from those Suvastu samples from 2nd millenium bce to historical period, that there weren't any massive influx from steppe , it was somewhat unclear and circumstantial as evident . Archaeology long predicted ,that there weren't any mythical steppe warriors residing in Suvastu area ,which is the home of Dardic and Nuristani related groups . Same is true for cemetry h and pgw and others....so we will have to look forward for probable migrations from the period I mentioned, which is from around ~800 bce, that fits the situation pretty well. But of course ,the situation can totally change with more samples. This cline in my PCA running from Indus_Periphery to Kashkarchi_BA has always been there, and it was rather obvious what it represented: a large scale influx of people from the steppe into South Asia during the Bronze and maybe Iron Age. And yeah, this happened during the Bronze Age, because as you can see in the PCA, all of the Swat groups form a fairly neat cline pointing in the general direction of Kashkarchi_BA. The lack of R1a in these samples will be explained one way or another, sooner or later. But they do have steppe ancestry, and they can't be first or even second generation offspring of steppe migrants. Ergo, what happened, happened well before these populations came into existence in the Swat. First, I'd like to thank the team for making the genomes available before publication. It's not common to see this happen. With regards to QpAdm, this is the reason I caution against using EHG and Siberian-N in pright when one of the input populations is Dali EBA, since Dali is shown to be 80% Siberian-N derived according to the pre-print, and also since Siberian-N seems to be closely related to EHG. In effect a bias is created against Dali EBA in that Dali contribution to T would be underestimated for this reason. BTW, I agree with David that S Asians would have received most of their Siberia-N admixture via Eurasian steppe and other Asian populations. Anything not accounted for this way would show up separately as Siberia-N or Dali. a large scale influx of people from the steppe into South Asia during the Bronze and maybe Iron Age. There is nothing large in those Suvastu samples mate.Some of them even have close to~ 0% of such ancestry. It has a clear cut explanation, that the genesis of that Proto-Dardic culture is not related to Andronovo or steppe which was obvious from archaeology !. But the E1b1b1b2 of those Proto-Dards, can anyone here tell me, if it is there among Greeks? By the way, some scholars are postulating cultural links between Hittites and Ezero (I remain unconvinced, but...). Now, overall, only Hittites and the like will prove or disprove Steppe Hypothesis. The Anatolian is the key element. At the moment, Steppe Hypothesis is the only possibility to explain all the datas. Even if details need some rewriting. All other Hypothesis are too conflicting with datas. As a matter of fact, Krause is already proven wrong. By the way I supported Didnekes gedrosia source, so I never been fully convinced by Anthony and the like. Some DNA from Ancient Prehistoric Libya. "in Suvastu area ,which is the home of Dardic and Nuristani related groups ." Hmm, I don't know anymore. This data makes me rethink that notion. I mean, contemporary Dardic and Nuristani people have around 30% Steppe_MLBA. In contrast to this, the most steppe-admixed individuals from among the Swat valley aDNA samples are only around 15%-20%. They also have quite a bit more AASI than contemporary Dardic/Nuristani people. Looking at the bigger picture, the closest contemporary populations to these ancient Swat valley samples are probably Pakistani Punjabis (though, not the Chamar-like "Punjabi_Lahore" samples). Also, if I'm not mistaken, some of the samples are South Indian-like. I think the best thing about having the Shahr_I_Sokhta_BA3 sample is that it eliminates the need for "AASI" proxies, when one is modelling South Central Asians. Yaghnobi, Pamiris, Tajiks, Pashtuns, Dards, and Burusho have very low levels of AASI (ranging from 0% among Yaghnobi, to 18%-20% among the Burusho). So, Shahr_I_Sokhta_BA3 (30%-50% AASI, probably 40%) is enough to capture this stream of ancestry. The models are pretty cool. Despite having been provided so many options, we end up with the correct result. Anyway, the preprint has this sample at 14% AASI. So, if we divide 40% Shahr_I_Sokhta_BA3 by 2.5 (since we are assuming 60% West Eurasian + 40% AASI), we get 16% AASI for Shahr_I_Sokhta_BA2, which is essentially identical to the preprint's estimate of 14%. 6%-8% AASI for all three (which is the same amount they receive when using AASI simulations), and some Scythian admixture for all three. The Eurasian Steppe Ys are here! The data gets loaded into the spreadsheet and you you can create a filter (for example for "+" meaning positive or "?" meaning ambiguous in the first column) or sort the haplogroups any way you want. You can figure out for yourself what the lowest level-haplogroup is for all these samples, without taking anyone else's word for it. Go check it out. And where are the Yamnaya kurgans in Anatolia ? You say they were all destroyed, which is more fictition because all the settlement Mounds (or most of them) are still there. Your imagined consensus actually rests on mellart’s work from 1958. His thesis was that the Anatolians invaded in late 3rd millennium , and he tracked this by the spread of polished west anatolian pottery . Yes quite funny- invading kurgan warriors marking their invasion with fine Asian pottery ! Please present some recent papers from this decade by archaeologists who actually work in Turkey advocating a 3rd M date. I’d be very interested in reading the material. Recall that all the material you link to RK weeks back didn’t support what you typed. @ OG - Thanks Terry ! These migrations after 800 bc did create an significant effect ... but of course we will need more samples ...especially from mature harappan in good nos. Do not worry , once we get samples also from cemetery h or pgw ...lots of rethinking will come ;). These iron age migrations were not related to Rigvedic people. I am trying to learn who is who in this new PCA. Pkease can You say who are those three post steppe Turan guys close to Caucasus? They are aligned in a row. The E1b in India is from Z830 branch, in most likelihood M123 branch. The oldest Z830 is from Natufian. While Greeks are in M78 branch. The oldest case is the Paleolithic Morocco. So they are quite distant from each other. And their common ancestor is older than the common ancestor of R1-s. When will we see snp call tests?. @David Do you think that the KashKarchi individuals can turn out to be L657+? They are now given as Z645+ isn't it? I'm expecting at least one of the Andronovo or Sintashta samples from this paper to turn out L657 when the BAMs come out. IMO there is actual chance that Saidu_Sharif_IA I6891 will be R1a -L657. @Nirjhar Like others have noted, it's a bit too late. If KashKarchi turns out L657, we can at least be sure that L657 would have been in that region during the second millennium BCE. The papers I posted where mostly recent, and all backing an intrusiveness of IE Anatolian, with migration in the late IIId millenium. Last paper is a couple years back. Yamna presence in Thrace is attested (Heyd 2012), and I never said that ALL tumuli in Thrace or Anatolia have been destroyed. I pointed to the fact (and cited a Turkish archeologist) saying that hundreds of kurgans have destroyed (most of them from Iron Age, so probably Phrygian or Thracian). I also pointed on the fact that many tumuli are attested in North East Anatolia, and very fiew were object to archeological study. The presence of Anatolian colonies in Thrace around 2500BC is not exclusive of migration from Thrace to Anatolia. It's a bit like saying that since Romans colonized Raetia, German tribes could not have settled in Toxandria. By the way, "my" theory (in fact, I only put Yamna Bulgaria) is very consensual among hittitologists, and perfectly coherent with linguistic. Contrary to a migration from South Caucasus (a member of Freu team has even expressed his point of view about this: "ridiculous"). The Steppe theory is simply the mist parsimonious one, by far. Even if it needs some adjustments. You will always find some people defending an IE origin for Hattian or Minoan (or even Sumerian). But those are very personal positions. Obviously not consensual. The Saidu_Sharif outlier works comparably well. In fact, I prefer using either SS_o or S-i-S 3 to model North-west Indian and SC Asian AASI(basically, circum-Indus regions). Better drift match w/respect to AASI, imo, than using an AASI ghost. OTOH, Paniya and Pulliyar seem to be better AASI-rich proxies for Tamils and Bengalis atm. Rob has a good point re/ using Dali_EBA, but, imo, Scythian sources(AldyBel, Zevakinski, Zevachkino) are much more sensible and work just as well. See Sein's model for Karlani Pashtun above. Kashkarchi and Han may do the trick for qpAdm, but it's not sufficient to obtain passing G25 fits(sensitive to recent drift), it looks like. Your distances for Pamiri fits are significant enough and practically fall outside the convex hull. At this point, though, we can't know with perfect certainty which exact combo of Steppe_Mlba, Steppe_MLBA East, Tien Shan pastoralist or Scythian comprises ancestry of groups like Kalash and Pamiri. Our tools don't have the res and only more ancient DNA can resolve this. I'm not sure exactly what went down in Baluchistan. Their language is from the WESTERN Iranian branch, though, introduced by some Parthian-related nomadic groups inhabiting the semi-arid steppe-like zone of the SouthEast Caspian region. The question is what these nomads and the preceding population stratum in Baluchistan were like. My guess is that these nomads were quite steppic, in difference to the modern Iranian_Mazandarani, who occupy a different ecological niche in the region. Before their arrival, I don't expect Baluchistan to have been so steppe-rice, but more Swat-like. Sein, were you running scaled or unscaled #s? Any confirmed L657 from the Bronze Age would be huge news. That population would be the ancestors of modern India. Using only BA and earlier samples to model modern S/Central Asians (Parkhai Eneolithic = overwhelmingly Iran_N like, Shar_I_SokhtaBA3 was the was 44% AASI outlier, the rest was Iran_N-like. Zevakinskiy and Sintashta are my Steppe_MLBA_East proxies). - I don't see the fabled tons of steppe in Kalash-- only 27%, similar to Pastun and way less than Tajiks. OTOH, Kalash are the only group here choosing sizeable West_Siberia_N (4.6%) on top of that contained in the other ancient proxies like Zevakino. "Seems that physical traits that links north-est europe and andronovo are the ones connected with farmers and hunter-gathers ( which in the quote are labelled as pre-indoeuropeans), not with steppe." Yes, I agree with you on this and have been advocating this myself for quite some time. To add a bit more precision and specificity, though: the distinctive blond hair seems more linked to the farmer, not HG component. Have you seen Genetiker's spreads? He got nearly 100% light haired for Globular Amphora, apparently, in difference to the local "brunette" HG cultures of NE Europe. There were light haired individuals back in Neolithic Anatolia, too, but since EEF colonization entailed bottleneck scenarios, it's easy to see how such traits could eventually become predominant in places like N. NE Europe. Keep in mind that Kabyle Berbers, North Syrians and modern Georgians also have non-zero rates of blondism and a shared stream of ANF-like ancestry is ultimately what links them, EEFs and Andoronovo groups. You may have come across pictures of fair-haired Caspian Iranian individuals from Gilan and Mazandaran. Well, unlike in the Pashtun or Pamiri context, ANF could be more of a culprit here since W. Iranians don't have very much steppe_MLBA. I think Sein is scaling but his involves an additional step of normalizing other PCs wrt PC1. It should state "Parthian-like", not Parthian-related above. Not certain of how *related* they were since Parni are thought to have spoken an E. Iranic language. Leaving aside modern and Iron Age South Asians for a bit, I've tried some fits for the Turan+West Asia ancients, just using the full range of ancient samples including CHG, and Levant_N, to compare against papers models with Anatolia_N+early West Iran only. Anatolia_N and Iran_N remains very persistent in many populations, however, they do pick up a good part of CHG and Levant_N, rather than these simply being rejected. It looks like there is a fairly substantial flow of Iran_N->Levant_BA, but not much southward flow of CHG/Anatolia_N to Levant_BA, and at the same time, a strong eastward flow of CHG+Anatolia_N+Levant_N into Iran and Turan. Sarazm_EN looks quite difficult to fit within the bounds of earlier Neolithic populations in these models. May be worth a go with a qpGraph to see what's happening. (Some populations in models are later than pops being modeled, but I wanted to use a consistent setup for all). Likewise something odd going on with the Dzarkutan2_BA sample, with some odd high CHG related proportion that may be spurious. It looks like for both, where the model distance is out is that the real tends to be slightly more related to Iron Age Pakistan samples and further away from the populations used to model them in the nMonte. You mean Kira Arax culture , markopti etc ? New study. 900yr drought between 2350bc and 1450bc killed IVC. I've updated the Basal-rich K7 spreadsheet with the following samples from the new dataset. Some interesting results there. Btw, this is where West_Siberia_N cluster in the K7 triangle plot. @Rob " NO kurgans in Anatolia"
absolutely massive burial mounds though. At 13:00 they describe the city of Hattusha. It is very impressive. "A city carved out of a granite mountain"
All the more impressive given their Yamna ancestors didnt even have permanent settlements! The Horse, The Wheel, and Language: David Anthony's ridiculous theory on how a bunch of steppe nomads armed with just horses and wheels, overcame many of the worlds greatest civilization! What do you think of this ? Note, Alikemek-Tepesi, Mokhrablur and Çadir Höyük. "The Saidu_Sharif outlier works comparably well." Ah, I have yet to include that sample, but will certainly test it out. "Better drift match w/respect to AASI, imo, than using an AASI ghost." I completely concur. They allow one to have a solid idea of the AASI levels (since they are 30%-50% AASI, probably 40%). "Sein, were you running scaled or unscaled #s?" I have a modified version of nMonte which scales everything. But, I'm beginning to use Alberto's Xmix (speaking of which: thanks Alberto! ), and I find it to be an excellent, and fast, way to run multiple samples. "A drought wiped out the IVC"
Those Sintashta outliers have a lot of West Siberian forager ancestry. They might be early Uralic-speakers incorporated into Sintashta communities. But none of them belong to N1c, so that's a fairly strong argument against this idea. Two of them belong to Q1a. Not sure how "Uralic" that is? Thank you for the clarification, so what's your take about IE urheimat? All these stuffs always going west to east.....nobody can deny the possibility that language went the same way. We need only a pre 3000 BC finding of R1b P312 ( or R1b L-51) in central western europe and it will be game over. We'll see. I now learned how to more quickly figure out who is who. Matt's nmonte is also interesting. Have you considered the George van Driems's Karasuk hypothesis? These more Siberian Sintashta outliers may be related to Yeniseians, like modern day Ket who are overwhelmingly Q-M242 . Yeniseians used to be far more widespread with many languages having gone extinct in the past few centuries. Following Van Driem, West Siberian HGs may have spoken languages related to Yeniseian, and Burushaski may be descended from these Siberians who were swept up in the expanding Sintashta/Andronovo interaction zone and settled on the South Asian side of the Khyber pass. I haven't considered that. I'm preparing a blog post on the origins of and genetic substructures within Sintashta, so I'll throw it in as an option. I'll be taking a closer look at those Sintashta outliers and West_Siberia_N over the next few days. I expect them, especially West_Siberia_N, to show highest affinity to Uralics, and perhaps Dali_EBA to the Burusho people. But I don't mind surprises. kushanas did not appear overnight 100 bc and despite their origins they probably would have brought in Iranian influence. Even with Mughals although they were more like ethnic Uzbek they brought Persian languages and Arab religion rather than their own cults also they were preceded by other Turkic dynasties with smaller footprint who followed the same pattern. It’s typical pattern in India when you usurp power you often bring in alternate priests and scribes. Take the case of Sen vs palas in bengal. Yes, I think Dali_EBA is a good place to look for Burusho ancestry. Since it's in the right place and time and has mostly West_Siberia_N ancestry. It would certainly be interesting to see if Uralics were also associated with the same ancestral population. But I personally think they are more related to the stream of ENA found in the Bolshoi O.O. Siberians from the far north. Looking forward to your post on the outliers. On PCA the modern populations that are usually the closest to WSN are Volga Uralics and Saami, after them Mansi and a Ket outlier, but not really super close and it is not very convincing overall. I am looking forward to your analysis. I've always been curious as to whether the populations where there's a dominant recent/downstream y-haplogroup that might be from a minority ancestral component (eg Basques, Indians) if they could identify bottlenecks *within* the autosomal components? EG for Basques, could they in turn isolate the Iberia_ChL and the Beaker and run bottleneck analysis? Could this potentially identify the source of the y-haplogroup, and give us an indication (by the size and length of the bottleneck) whether the new component reflected pulse migration, steady admixture, or just differential reproductive success? I don't see a lot of discussion of the latter possibility, even though we know that for Bronze Age males this could be incredibly unequal. We need only a pre 3000 BC finding of R1b P312 ( or R1b L-51) in central western europe and it will be game over. Yes, it will be game over for R1b as IE marker. @Taymas, as you probably know there's modeling that David Reich talks about a lot in his book, where the site frequency spectrum is used to reconstruct population history changes over time. So this would include bottlenecks. Now there is some new software momi2 that is designed to use this information in admixture models* : https://www.biorxiv.org/content/biorxiv/early/2018/03/23/287268.full.pdf (or more precisely graphs/trees). So I guess in future that could be extended. I think David Reich is probably quite interested in this sort of area, given how much he talks about the SFS and demographic history inference in his book. One M780/Y3 - Ukraine_Eneolithic I6561 but no L657s yet. So there is continuity in the Russia/Kazakhstan region for Z2124 and its subclades but not for the L657 branch. So it seems that they were from around Armenia who moved all the way to Dzharkutan. It will prove that the only dermic diffusion and cultural phenomenon that could have triggered the expansion of indoeuropean languages in central-western europe must have happened during the neolithic. The only other solution is the Paleolithic continuity theory . The only important genetic IE marker is the obvious Yamnaya-like autosomal signal in nearly all (of course not absolutely all, as language is not inherited via DNA) IE speakers. That is the near-constant signal. Not R1a, not R1b, etc. Haplogroups just tell you a bit more about the culture. @Alberto, that's quite interesting re: Armenia_EBA and Dzarkutan2_BA. The paper supplement states "Dzharkutan2_BA: These two samples have significant amounts of Steppe_MLBA related ancestry", but I get none of this in models even upon restricting Steppe_EMBA out and including Sintashta as a Steppe_MLBA reference. Though obviously in my fits Armenia_EBA itself is not rich enough in CHG related ancestry to make sense. In neighbour joining Dzharkutan2_BA look closest to North Ossetians, though not exceptionally so compared to the Karachay, Balkar, Cherkes, Kabardin, and also to other people of the North Caucasus (Armenia_MLBA also clusters among these groups in neighbour joining, where Armenia_EBA is rather relatively close to Georgians, Abkhazians (South Caucasian)). I guess this could lead us to speculate on an East Iranian connection of some kind, but of course this is far too late. It looks like for a proximate two way model, Sappali_Tepe_BA+Armenia_MLBA would work OK (probably disregarding some historical context here). Better plus some low level East / AASI ancestry. Still looks like the samples may have some outlying CHG thing that I find hard to explain. "Seems that physical traits that links north-est europe and andronovo are the ones connected with farmers and hunter-gathers ( which in the quote are labelled as pre-indoeuropeans), not with steppe. " Yamnaya had roughly the same frequency of relevant pigment alleles as Neolithic Anatolians. Neolithic Iberians & British were significantly darker, Neolithic Anatolians & Balkans the same allele frequencies as Yamnaya. Globular Amphora's results may mean they are the source of ultra fair complex in modern Europe. They were significantly more fair than all other farmers. But this would be quite surprising considering Baltic BA & Andronovo were of only 25% MN farmer decent. Bell Beaker has roughly intermediate frequencies between Yamnaya & Globular Amphora. Then later, frequencies went up in the British Isles (only place of overwhelming Beaker decent). Maybe their ultimate source is Globular Amphora. But the oldest redhead is a Beaker individual from Hungary who had 75% Yamnaya ancestry. All the earliest carriers of red hair mutation have 55-65% Steppe ancestry. Come from Corded Ware, Sintashta, and Bell Beaker. It is very unlikely. First, the age of the samples is a way too old (all of them are older than 6000 years, one is 8000), the oghur Turkic branch had not possibly differentiated that early, nowhere near. In fact, they are way too old even for proto-Turkic as a whole, unless we use a very liberal definition. Second, original Turks are too East Asian for this. The only extant oghur ("Bulgar") Turkic language, Chuvash, is a false friend on this matter, because its speakers are basically assimilated former Uralic speakers. They fit closely into Uralic clines and groups genetically. I am not convinced these samples represent a major direct ancestry for modern Uralics speakers or are from a proto-Uralic speaking group either, but it is still much more likely than the oghur Turkic version. hence have the highest ANE-related ancestry (estimated at 57%) among any modern population reported to date. The remaining 43% of Western Siberian ancestry is shared with Eastern Siberians, suggesting admixtures from Eastern Siberian populations most related to Even and Evenki into the common ancestors of Western Siberians (Fig. 2). The ANE-related ancestry is also significant among Northeastern European populations such as Mezen Russians, Komi, Karelians and Veps (Fig. 5d), suggesting their shared ancestry with Western Siberians. These northeastern European populations are also admixed with Eastern Siberians such as Yakut, Buryat and Even (Fig. 5a-b, S7f,j,k). Therefore some northeastern European populations are related to both ANE and Eastern Siberians." In other words, Mansi minus Evenki should get very close to WSHG/ANE, that probably being the common root for most Uralic speakers. N1c was most certainly residing on the European side of the Ural mountains very early, but can't have been very far from the Siberian side either, as it has been found in the Sargat culture kurgans. Maybe related to East Uralic expansion, maybe not. I think that it is more logical to think that languages related to Burusho were spoken in Kazakhstan before EMBA and MLBA cultures and forget Uralic. Yeniseian languages may be remotely related to Burusho. As the Central Asia paper showed that there is yDNA Q in Kazakhastan, I would suggest that languages resembling Burusho and Yeniseian as well as yDNA Q prevailed in Kazakhstan and the surrounding areas before the Bronze Age. I think that it is quite safe to say that Uralic roots are in the taiga zone. Lexicostatic analyses and paleolexicon are clearly show that origin of bulgaro-turkic languages in the barabba forest steppe,northern Kazakistan. Also Molodin's barabba steppe paper proved that between 6000 BC and 1700-1500 BC there was a genetic and culture continuum in barabba steppe,exactly same time of Proto bulgaro-turkic separation at circa 1500 BC, of course, you can think in the other way. 1)L657 was part of an earlier migration into Central Asia from the Ukraine region and it either entered India before 1500 BC or with the Andronovo wave. Supporting this is the fact that the Ukraine region has an M780 basal population today. Therefore the centre of diversification of this branch and the origin of L657 also probably lie in this area. But we have to search more samples to detect it. 2)L657 was a very insignificant subclade in Sintashta-Andronovo, but it experienced its growth after entering India, during the Iron Age. Supporting this is the fact that the modern distribution of L657 is almost fully confined to the Indian subcontinent and it peaks in the Gangetic valley. In this case, we may not find any L657 at all in the steppe-forest steppe region even in future samples. Well, I would place the urheimat somewhere north of the black sea around Ukraine. Btw, how was your trip? Just not too sure if was originally associated with western EEFs or with Khalynians in the area. In general, the cardinal features we associate with IE-ness have a lot of "EEF/Western pull" to them like you've been point out. It's not a matter of "steppe" imposing itself on the "conquered farmers". The formative negotiations were more intricate. Something interesting I'd like to run by you. We have two Vucedol samples at the moment. One of them is just a straight-up Balkan EEF, while the other is....more interesting. Shows some kind of a CHG pull, but Aegean-Anatolian influence is neither likely from an archaeological standpoint(too early per Heyd) nor from current Balkan DNA evidence and nor from nMonte's models. So, I tinkered and tinkered. At first, I came to the conclusion this was a 50/50 product of a Balkan local and some half Maykop-half Steppe migrant. It would certainly appear to be such on a 2D PCA and even in G25. The putatively non-local half I carved out looked *relatively* close to Yamnaya_outlier(suspected of being Maykop or harboring the influence). Hey, the shaft-hole axe traition had to have arrived there somehow, right? To make a long story short, this scenario didn't fare so well after further analysis, though. Hit a wall. The Western European portion looked peculiarly similar to what's been described in the Jeunesse paper and mention of copper mining in Liguria piqued my interest. I decided to corroborate and turns out that the trail of stelae leads back to Kemi Oba, where they predate all others. This is 4th-early 3rd mill BC, roughly the time frame covered by Jeunesse who also postulated some Eastern impetus---from Maykop. Now, Kemi Oba does show Caucasus(Maykop?) influence in its shaft-hole axes as well as in other traits. The genetic profile of K.O. and neighboring Mihailovka would also have been expected to resemble a mix of substantial local EEF+some CHG+Khvalynsk/early Yamna-like. Consistent with Vucedol's models. Moreover, according to Mallory, Remedello shows an intrusive brachycephalic element. What's also interesting is that particular Vucedol's affinity to Northern Italian EEFs as opp. to Baden, Sopot, etc. The importance of Remedello in Copper Age Europe can't be understated and it's easy to envision it, coupled with hypothetical Kemi Oba migrants, as a preliminary "cultural conditioner", to a Bronze Age Europe. Maybe this guy was an elite offspring of said cultures? Re/R1b: In light of what I've written about above, if we DO see R-l51 circa 3000BC predating "the Beaker thrust", we could be looking at K.O./Mihailovka migrants. What sub-clade? Potentially the basal L51* variety---one that enjoys a healthy frequency in modern Po and Rhone regions today. This new Armenia Chl is interesting. I guess Leyla Tepe will score twice more northern ancestry than Areni. Btw I checked U5b2a1b in Tepe Hissar. 2700 Bc. Looks like genuine. U5b2a1 was found both in WHG and EHG contexts. "There were light haired individuals back in Neolithic Anatolia, too, but since EEF colonization entailed bottleneck scenarios, it's easy to see how such traits could eventually become predominant in places like N. NE Europe." Here's an example of a Mansi child with blonde hair and the Asian eye-fold which is interesting. It could be argued they got it from Andronovo admixture and ultimately Anatolia Neolithic admixture. That's possible. It is more parsimonius to think that Mansis got their blond hair from Proto-Uralics that came from the Volga forest area. Yeah, a chain of transmission looking something like: Anatolia_Neolithic----Globular Amphora----Fatyanovo----Sintashta/Andronovo/etc.----Mansi. Mansi do have considerable Steppe_MLBA, right? We often tend to think of this ancestry just moving around the steppe zone or going south towards India/BMAC, but a considerable amount must have ventured north and penetrated deep into Siberia, too. I am not a bit confused over a few matters. So basically, if I am correct, there are now two Andronovo populations - East and West. Andronovo West has the Anatolian Farmer admixture, while Andronovo East was mixed with West Siberian Hunter Gatherer, another subset of ANE, correct? Previously all we had was Andronovo West, which was a poor fit for or IA Steppe, but now we have Andronovo East, which (via West Siberian HG) has the extra ANE we've seen in Indian populations, correct? Also wanted to confirm that CHG (outside Iran Neolithic), West Siberian HG, and other ANE, are not found in Indus Periphery samples, which are a two way mixture between AASI hunter gatherer and Iran Neolithic Farmers. Yes, there are now Steppe_MLBA_West and Steppe_MLBA_East populations, instead of the one Steppe_MLBA. But both are very good proxies for the steppe ancestry in South Asians. The reason that Steppe_MLBA was formerly rejected as a proxy in this context was because we were missing samples with the correct type of West Asian ancestry that is found in South Asians, which is relatively poor in Anatolian-related input. But now we have samples like Sarazm_Eneolithic or, even better, Indus_Periphery, which are much better stand ins for the West Asian farmer ancestry in South Asians, so the models work as they should, or at least much better than they used to. Big thanks for the chart in your new post. Another question, maybe not the smartest, but how to Sarazm and Indus Periphery relate to ANE, West Siberian HG, and Iran-Neolithic? Is there additional ANE/West Siberian HG in Sarazm and the Indus Periphery, or are they more closely related to the Iran Neolithic samples we've used until now? Yeah, Sarazm and Indus_Periphery have an extra dollop or two of West_Siberian_N-like ancestry over Iran_N. And like I already said, Indus_Periphery also has much less Anatolian-related input. So they're similar to Iran_N, but with a couple of key differences that would've been hard to appreciate without ancient DNA. Suffice to say that without these genomes we'd still be running around in circles in regards to South Asian population history. Understood! So both the pre-IA samplles and Steppe-MLBA samples were hit by extra West Siberian! Looking at the diagram on your next post, is it fair to say that Sarazm best represents the non-AASI components of the Indus Periphery, and might reflect its ancestry? I think so, but it's not perfect, so it can't be ancestral to the IVC population, because it's still a little too western compared the West Asian part of the Indus_Periphery individuals. However, it does the job in qpGraph for now. "We have two Vucedol samples at the moment. One of them is just a straight-up Balkan EEF, while the other is....more interesting. Shows some kind of a CHG pull, but Aegean-Anatolian influence is neither likely from an archaeological standpoint(too early per Heyd) nor from current Balkan DNA evidence and nor from nMonte's models." In reality, the Balkan-Anatolian connections were ongoing since the Neolithic. Seeing it as something of a post-2500 BC phenomenon isn't correct. Eg see Nikolova who points out the arsenic copper connections between West Anatolia & Balkans already from 4000 BC, although IMO what is important is that after 4500 the tide of exchange turned, with Balkans being a more important than Anatolia. It is correct that any post-4000BC genetic Anatolian impact seems minimal outside Greece, although we should note that there were early precocious immigrants like Krepost. Overall, I do think there is a some kind of Anatolian pull in Vucedol Z2013 guy, perhaps mediated via the Adriatic (eg see Anatolian style metal daggers in Mala Gruda already in M3). Yeah, those precocious migrants, as you put it, don't seem to have left much of a legacy wrt to their CHG-related anestry outside of Greece maybe. So, it's a bit less likely, imo, considering an inland site(Mala Gruda had maritime connections) so far north w/more southerly sites in Bulgaria showing zilch Anatolia_Chl/BA affinity. The stelae people theory is convincing(trail of stelae) as is the pattern of shaft-hole axe finds and leads me to believe in a preliminary, small-scale, yet influential migration comprised of Yamna-like(perhaps w/more EEF as Alan proposed in one thread) and Yamna_Ukraine_outlier-like individuals from Southern Ukraine. Maykop--Kemi Oba cultural interaction zone. "these phenomena appeared hundreds of years before Yamnaya"
Exactly. Long before the 2500BC "Yamnaya event" we see reflected in BB DNA. That's why I envision an earlier, demographically insignificant egress from the Ukraine region. Together with Remedello-like EEFs, they would have laid the ideological groundwork in SW Europe that was to become important in shaping the Central European horizon in the following centuries. So we can say that is possible, considering genetics archeology, burial customs to say that IE ideology and language can be the product of the interaction between european farmers and steppe people? What do you think by the way of Balanovsky paper, seems like a bombshell to me.